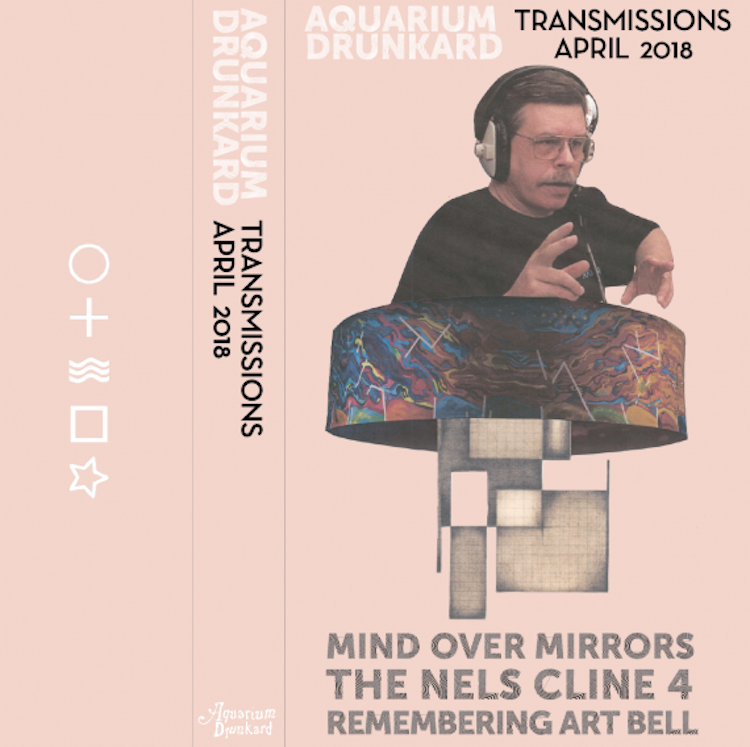 Welcome to the April edition of the Aquarium Drunkard podcast, coming in from West of the Rockies. On this program, we explore the late night radio theater of the late Art Bell. The Coast to Coast AM host passed away on Friday, April 13th, and we’ve spent the days since exploring his classic archives. Aquarium Drunkard founder Justin Gage and co-host Jason P. Woodbury sat down to reflect on Bell’s singular voice, dedication to chronicling the unknown, and status as a purveyor of genuine American weirdness. Also on the show, guitarist Nels Cline joins us to discuss his new quartet, the Nels Cline 4, and “Imperfect 10” from the combo’s new Blue Note Records LP, Currents, Constellations. Maybe you know his playing with Wilco, but here he focuses on the notion of “jazz fusion,” which he’s been exploring since the late ‘80s. And we begin the podcast with a discussion with Jaime Fennelly of Mind Over Mirrors. The synthesist and composer just released a masterpiece called Bellowing Sun. It’s cosmic in scope but rooted in the earthy reflections of naturalist writers like Henry Beston, whose 1928 book, The Outermost House: A Year of Life on the Great Beach of Cape Cod, served as a guidepost for the new album. Earlier this month, the album debuted alongside a multi-media installation at the Museum of Contemporary Art Chicago featuring a light sculpture modeled after an enormous drum. The suggestions — of biorhythms and universal patterns — are in keeping with Mind Over Mirrors’ space-folk. Though Mind Over Mirrors began as a solo project, it’s very much a group effort now, featuring Janet Bean of Freakwater and Eleventh Dream Day, Jon Mueller of Volcano Choir, and Jim Becker of Califone. The band’s latest, Bellowing Sun, arrives in conjunction with a multi-media installation at the Museum of Contemporary Art Chicago featuring an ambitious light sculpture. One of the marvelous things about Mind Over Mirrors is the way the group’s music feels both spacey and earthy. On the new album, which is at turns ecstatic, spooky, and revelatory, Fennelly and company the band maximize that ability, putting the idea of our planet as a cosmic vehicle into context. If you’ve ever been the sort of person content to sit around the radio late at night or scan the airwaves on a long drive through the middle of nowhere, there’s a good chance you’ve experienced the strange radio theater of Art Bell’s Coast to Coast AM. Since Bell passed away earlier this month and since his passing, we’ve been tuned into his archives. Here, we reflect on the impact and legacy of Bell’s pioneering program. Thanks for listening to the Transmissions podcast. Support by subscribing to the Aquarium Drunkard podcast on Apple Podcasts, Spotify, Stitcher, Mixcloud, Tune In, or via the RSS feed. Please rate and review the show, or even better, share it directly with friends.